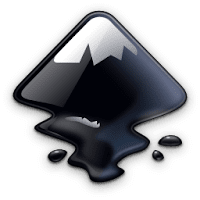 Inkscape is an open-source, professional vector graphics editor for Windows, Mac OS X and Linux with capabilities similar to Adobe Illustrator, Corel Draw, Freehand, or Xara X. It uses the W3C standard scalable vector graphics format (SVG) as primary format, however many other formats can be imported and exported like EPS, Postscript, JPEG, PNG, BMP, and TIFF. Inkscape's main goal is to create a powerful and convenient drawing tool fully compliant with XML, SVG, and CSS standards. Inkscape SVG supported features include basic shapes, paths, text, markers, clones, alpha blending, transforms, gradients, and grouping. In addition, Inkscape supports Creative Commons meta-data, node-editing, layers, complex path operations, text-on-path, and SVG XML editing. Note: Mac OS X version requires XQuartz. Disclaimer: Direct downloads for the lastest version of Inkscape 0.92.2 are provided by the official software's author, we can't guarantee safety, availability or download speed. Moreover, we don't and we won't provide any pirated/illegal versions or tools. We recommend you to avoid it as these methods can harm your device. If you like the software, buy it to support the developers. (We provide software discounts for many worldwide brands).